Coach Hire Bologna - Bus Charter Bologna - Rental Coaches Bologna! 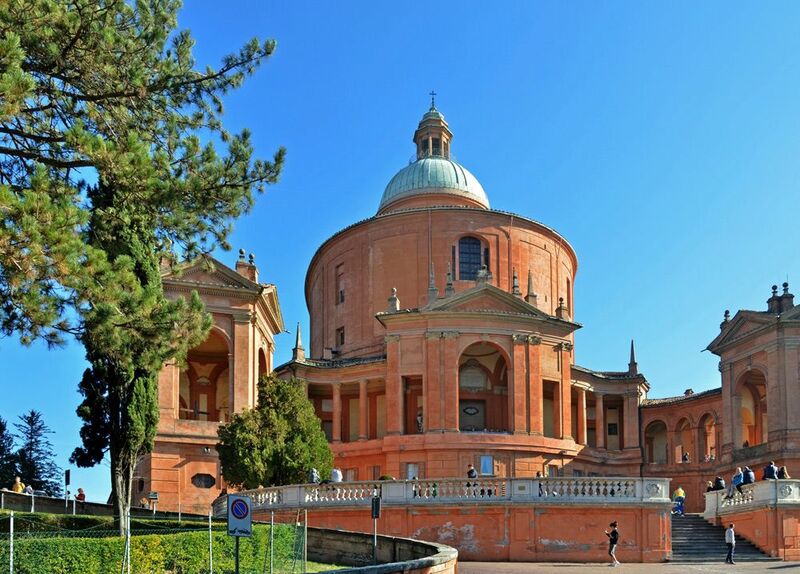 If you’re thinking about getting a coach hire in Bologna, then you should definitely consider using Bus-italy.com. We offer the premier coach hire service in the area, and have helped thousands of happy travelers, groups, and businesses to get from A to B. Our coaches are second none in terms of comfort and luxury. They include all the modern features you could hope for, from air conditioning and WiFi, to retractable tables and comfortable seats. Not only that, but they also feature lots of leg room. If you choose coach hire in Bologna with a driver, then you’ll get to benefit from a friendly and helpful tour guide who knows the area like the back of their hand and who can help you to get from A to B in the fastest possible time with minimal interruptions. Our prices, our service, and the quality of our vehicles mark us apart as the top coach hire Bologna. But why hire a coach at all you ask? Let’s take a look at some of the best reasons. By choosing to use coach hire Bologna, you will be using the services of a local company and local drivers. This way, you are helping the area that you have gone to visit, which is something all tourists should aim to do. The goal is to add to the destination you’re visiting, never to detract! Not only are the rates we offer here at Bus-italy.com incredibly competitive, but choosing to use coach hire Bologna also gives you the significant advantage of being able to split the cost between multiple people. If you are traveling with friends, or as some kind of group, then this is a great way to make a big saving. And it’s why so many companies choose to use our services – because this way they can optimize their profits and keep their costs right down. When it comes to traveling on holiday, you have a few different options. Two of the biggest though are to use public transport, or to hire a coach in the area. When you choose public transport, you choose to travel with lots of other tourists and locals, normally crammed into a very small space where you will be able to smell the sweat on the back of the neck of the person in front! Not to mention that tourists are always a target for pick pockets, even somewhere as pleasant as Bologna. On the other hand, when you choose coach hire Bologna, you will be getting a space that is entirely your own, and that will let you relax and spread out. You can read a book, you can pick the music, you can chat with friends/group members… it’s ideal. When you travel by public transport in a foreign country, you will be forced to try and contend with foreign signposts, with customer service professionals who don’t speak your language, with crowds, and with delays. If you are a group organizer, then trying to keep everyone together and avoid anyone getting lost or left behind can be even more of a nightmare. But with coach hire Bologna, you simply set a meeting place and make sure everyone is there. You’ll all be in one place, with no one else to confuse matters – it is significantly easier. Want to wake up at the crack of dawn to make the long trek to Rome for a single day? With coach hire in Bologna, that’s an option. Want to get taken into the center and enjoy a delicious meal while your coach waits diligently? Again, with coach hire Bologna that is very much possible. In short, when you use coach hire, you are getting to call the shots yourself. You can see the sights for as long as you want, you can pick the route, etc. Choosing a minibus with driver means that you can benefit from the local knowledge of that driver – and this makes a world of difference. Using a local driver, you can make sure that you arrive on time. Not only will they know the fastest route to take, but they can also help you to avoid traffic and to predict how the roads will be at any given time. Local drivers also know how to deal with the sometimes… passionate… driving styles of the Italian people. Compare this with attempting to drive yourself! When you do that, you’re left trying to figure out the roads – potentially driving on the other side depending on where you’re from – driving in a car that you don’t know or aren’t familiar with, and all potentially while jetlagged. Many people will use our coach hire Bologna for their airport transfers – and for good reason! The simple benefit of using our service in this way is that you know we’re going to arrive on time to get you to and from the airport when you need it. That’s instead of relying on a local taxi firm that you have no guarantee is going to provide you with a good service. There are few things more stressful than an airport-transfer that doesn’t show up. And it happens! Those are just some of the reasons that you might opt to use coach hire Bologna – but it’s actually just scratching the surface. There are many more reasons that you should consider using our service, from the fact that you can get work done on the coach (if you like), to the fact that you can stop any time for a photo opportunity, to the fact that you can fit large amounts of luggage (and Italian shopping) on the coach with you. Simply put, we offer the number one way to travel around Italy. So if you’re visiting Bologna or any of the other major tourist regions, be sure to get in touch and we’ll be sure you have the holiday of a lifetime!